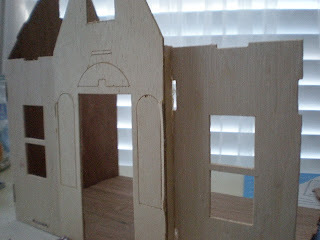 Time for a new dollhouse. I'm naming this one Frog's Cottage. 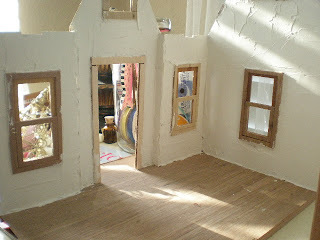 And it will be another fairytale style house.No frog's involved though! This is my inspiration. I found this on the web I think it's on Frog Island or something like that. Hence my chosen name. I love the atmosphere here. My dollhouse will not be a replica. But I do want to capture the essence of this place. The bricks are amazing. I love the roof too. But I might mix it with a thatched roof. 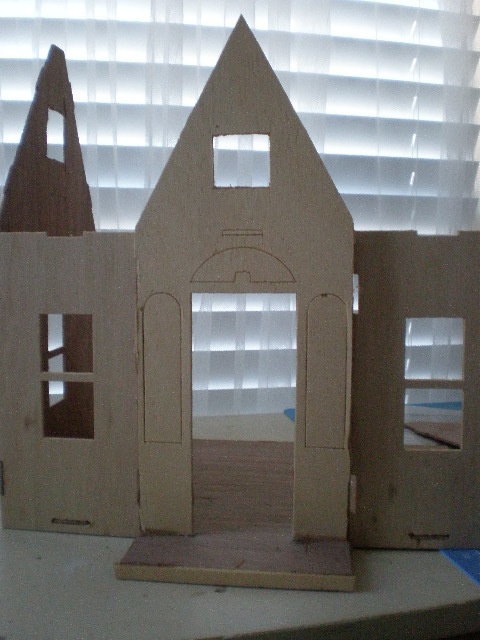 Here's the start of this house. I used the Buttercup kit. I took the front entry wall and moved it back to get a front porch. I'm also taking out windows and changing the round windows to squares. 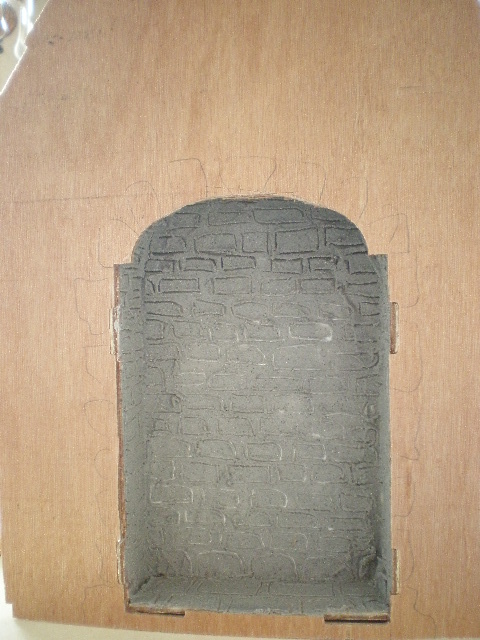 This is the fireplace. 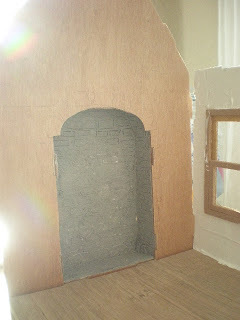 It is a walk-in fireplace. I thought that would be fitting for an old storybook cottage! Here you can see just how big this fireplace will be in the house. 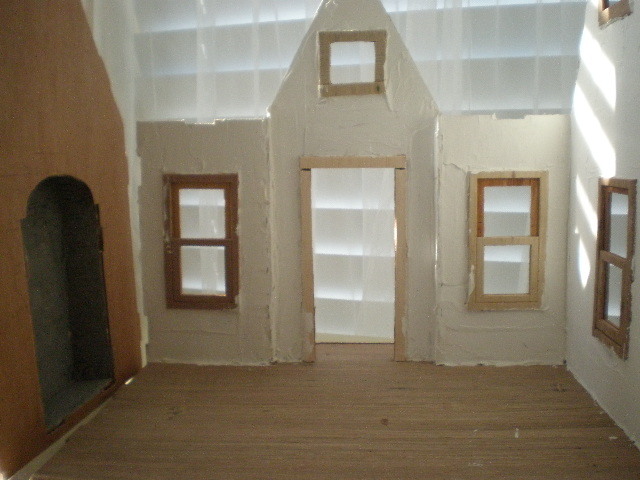 I already plastered the 3 walls and placed the window sashes. 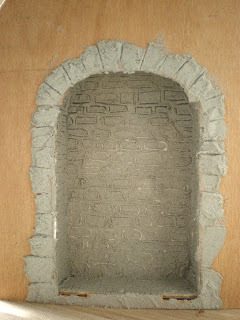 Now that I made the stones around the fireplace I can paint it and glue the wall in place. Wauw...really love it so far!! ich liebe deine kleinen Häuschen, wunderschön und so unterschiedlich. És macht super spaß dir zu folgen. 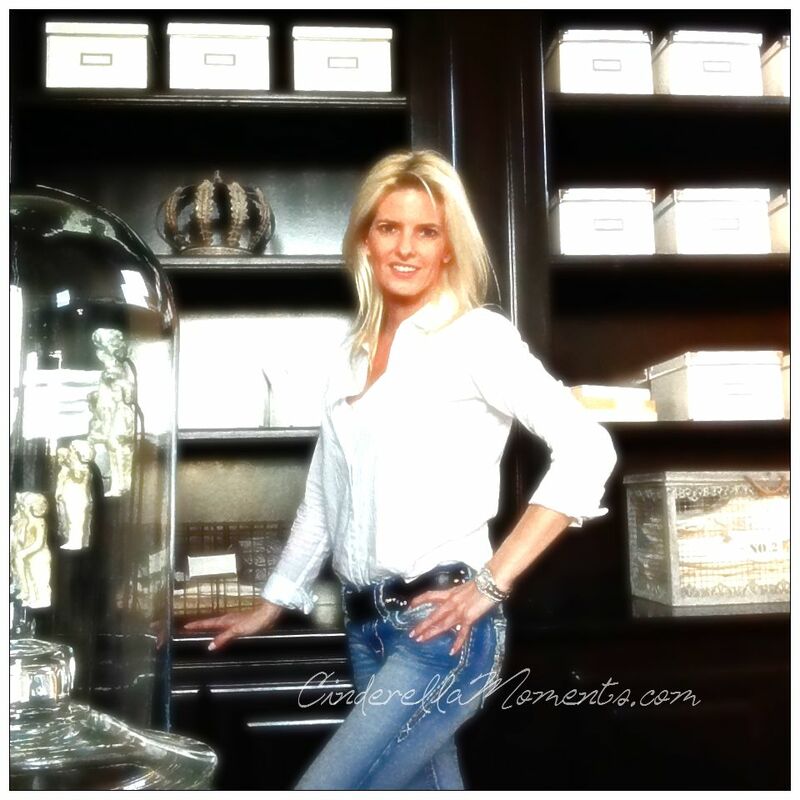 love it already-especially that walk in fireplace! Our minds are working very similar lately- but I have promised myself no starting this project in my mind till others are finished and I don't work as fast as you do :) I can't wait to see more!!! Hi Caroline! This is going to be a really fun one! Frog Cottage reminds me of frog lake. My husband and I once found frog lake on a map, drove there, and dropped our rubber raft in for a ride. It was full of beautiful jellyfish. It was really magical! I suspect this house of yours will be magical too! Gosh I've missed so much that's been going on over here!! 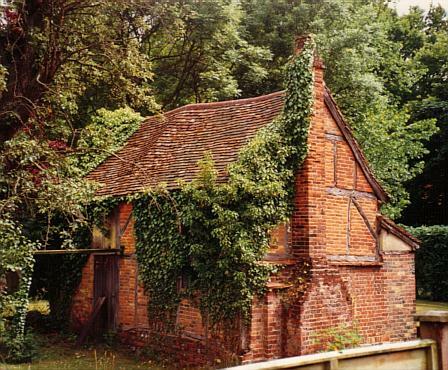 I can certainly see where your inspiration for this little cottage has come from and I just love all the aging and attention to detail that you've put into this project.